We stock an extensive range of insulation for general building, fire protection, loft and flat conversions as well as acoustic and thermal. With a dedicated insulation specialist in every branch, as well as an experienced Product Manager in our Elliotts Sales Hub, we’ll take care of your insulation requirements – no matter how big or small. We also have four insulation and drylining centres at our Southampton, Christchurch, Bishop’s Waltham and Tadley branches and offer a 48-hour delivery for stocked products. Get in touch today to see how we can help you save energy. 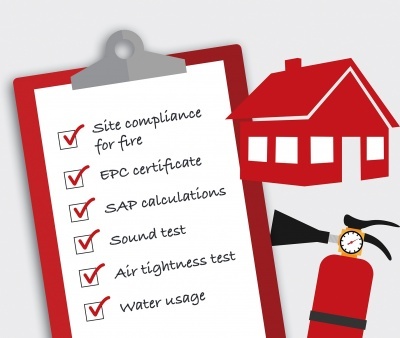 Did you know, we now offer fire risk assessments as well as a range of energy performance testing? Use our accredited assessors for your essential energy performance documentation required for Building Control. Our extensive experience means we’ll help you through any areas for improvement. Get in touch today for a quotation for your build.